Where the majestic Pacific meets golden sands, Malibu Beach is conveniently located within short drives of Santa Monica, Beverly Hills and Los Angeles International Airport. 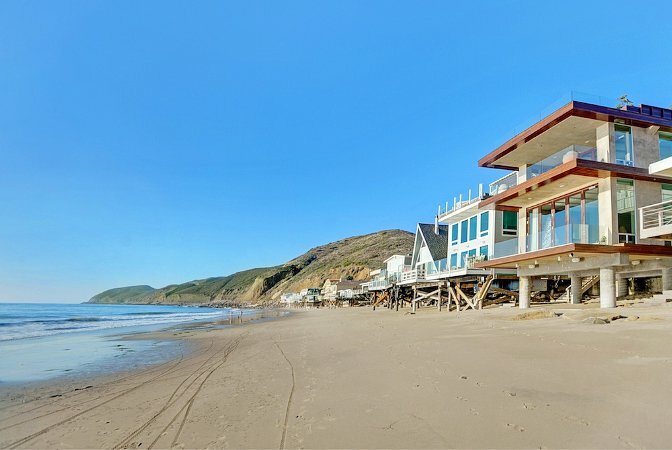 The area’s beachfront properties, vineyards and ranches are the destination for some of the most influential people, seeking a unique supply of Malibu Beach real estate. Malibu Beach offers the best of the best, from luxurious beachfront properties on the sand to extraordinary estates, mansions, vineyards, and ranches on the bluffs overlooking the Pacific Ocean and lining the hillsides with views of the Channel Islands offshore.